Rudimental have announced a special, one-off headline show at The Royal Albert Hall on March 25th 2019, kicking off a week of fundraising events for Teenage Cancer Trust Week. The band will supported on the night by Ghetts, plus a host of very special guests including Ella Henderson – a recent signing to the band’s Major Toms label – Mahalia, Kojey Radical, MNEK, RAYE, Amaria, John Newman, Stefflon Don, Maverick Sabre, Maleek Berry and Will Heard. Rudimental’s empathic, hi-energy live show will kick off the week’s activities, coming fresh off the back of the release of their new album, ‘Toast To Our Differences’. To gain first access to tickets from today, fans are encouraged to pre-order the album here, with general tickets on sale from this coming Friday (December 7th). 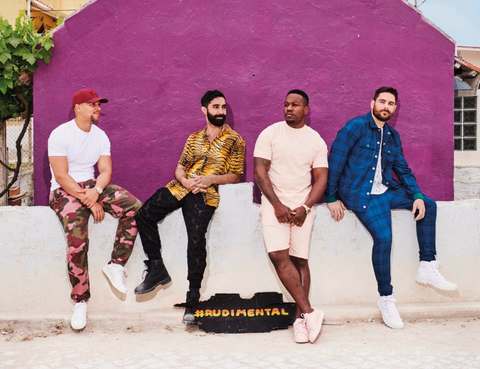 As a primer to the release of ‘Toast To Our Differences’ on January 25th, Rudimental have also announced a series of nationwide album pre-release shows, with dates in Cardiff, Cambridge, Brighton and Kingston. Housed in smaller, intimate venues, the ‘Toast To Our Differences & Dance’ parties will see Rudimental and a host of special guests play a mix of new album material and classic tracks, giving fans a chance to celebrate with the band and hear new Rudimental music for the very first time. Please see below for a full list of dates. *For tickets to the Kingston show, fans will need to go to Banquet Records to pre-order the album for access.